Many are reporting slower Russian sales and, in some cases, store closures as the Ukraine-Russia conflict drags on. 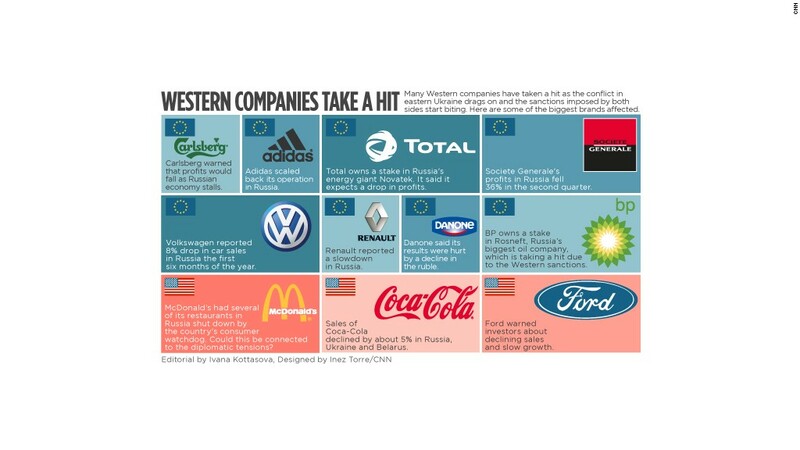 Some have seen their share price get pummeled since the start of the year. 1. 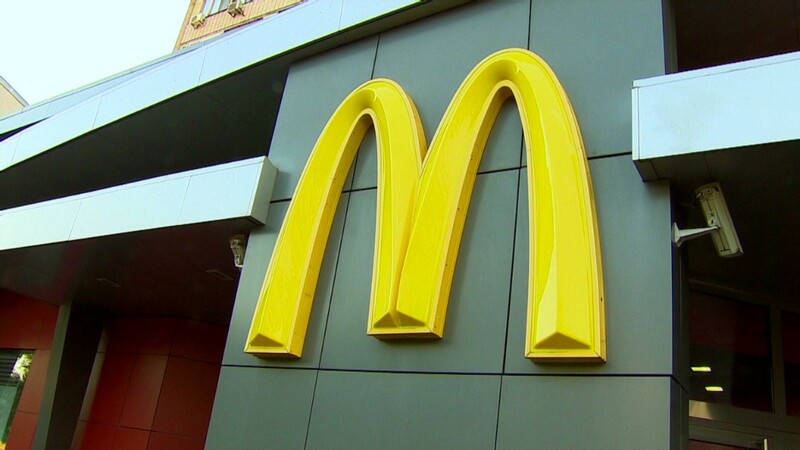 McDonald's: Russian officials and regulators have been cracking down on the restaurant chain. Officials shut a handful of popular McDonald's (MCD) restaurants in Moscow this week, and state media report that Russia's consumer watchdog will be conducting checks on outlets as part of a food standards investigation. Meanwhile, Wendy's (WEN) was recently forced to exit Russia due to what it said was a change in management at its local partner Wenrus. Wendy's had been in Russia since 2011. 2. Coca-Cola: The drinks giant said this week that quarterly sales declined by about 5% in Russia, Ukraine and Belarus. Coca-Cola (KO) blamed "economic instability in the region," but global sales increased by 3%. 3. Carlsberg: The Danish brewer warned this week its annual results will be weaker than expected, as Russian demand dries up. Carlsberg (CABGY) estimated that industry-wide Russian beer sales fell by as much as 7% in the first six months of 2014 due an uncertain economic environment, leading it to also lose market share. Carlsberg beer is the most popular beer in Russia by a wide margin. The company's stock has fallen 15% since the start of the year. 4. Adidas: In late July, the German sportswear company announced it was shutting stores and scaling back expansion plans in Russia. It said that "tensions in the region" had hurt consumer spending, and that the decline in the Russian ruble hurt profitability. Adidas (ADDYY) slashed its 2014 earnings forecast by 20% to 30%, partly because of Russia. Shares have plunged 37% since the start of 2014. 5. Volkswagen: The German automaker blamed an 8% drop in its Russia car sales during the first six months of the year on political tensions, and it said it believes industry-wide sales fell about 25% in July. Volkswagen (VLKAY) shares are down 13% since the start of the year. 6. Ford: A weakening ruble and slower sales in Russia have hurt Ford's (F) bottom line. 7. Renault: The French car maker has warned investors about a sharp slowdown in Russia and other emerging markets. Russia is Renault's (RNSDF) third largest market in terms of sales. 8. BP: The British oil giant BP (BP) owns a large stake in Rosneft, Russia's biggest oil company, and warned that unit will suffer from tougher U.S. sanctions. Investors are also worried about other energy companies, including Total (TOT) and Exxon Mobil (XOM), which have significant ties with Russia. 9. Societe Generale: Profits at the French bank's Russian unit fell 36% in the second quarter. -- CNN's Olga Pavlova contributed to this report.